Police Officer Steven Caserlos Dion Green, Sr.
Steven Caserlos Dion Green, Sr.
Police Officer Steven Green was stabbed to death by a prisoner inside of the Mobile County Metro Jail's sally port at approximately 3:50 p.m. The subject had been arrested by an off-duty police officer earlier in the day when he attempted to rob a dollar store. The subject approached the store's checkout counter, demanded money, then lit the counter on fire after spraying it with lighter fluid. An off-duty officer shopping in the store tackled him and took him into custody. He was processed at the police station and had been transported to the county jail by Officer Green. During the transport, the man was able to get one hand out his handcuffs and retrieve a knife he had concealed in a cell phone armband located in plain view on his upper arm. 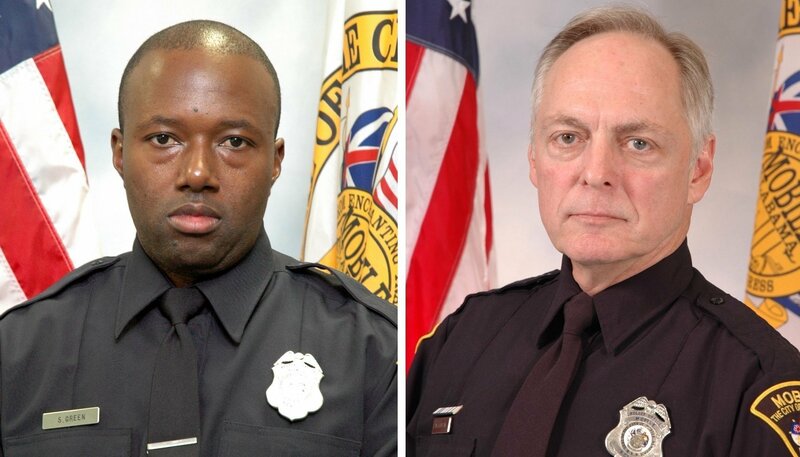 Officer Green had secured his service weapon and was walking the prisoner from his patrol car into the jail when the man suddenly stabbed him in the neck, severing an artery. The subject then stole the officer's service weapon and patrol car. Other officers pursued the man to a home off of Dauphin Island Parkway where he engaged them in a shootout, wounding one officer in the arm. The subject suffered a fatal gunshot wound during the exchange of shots. Officer Green had served with the Mobile Police Department for 20 months. He is survived by his wife, son, and two daughters. You inspired me to become a law enforcement officer when I was just a young man. I watched on the news the day as this happened. I have been in Law enforcement for 6 years now. Always remembered.